At the advent of the new decade, the first order of business for SK Gaming was to take an inventory of our complete, multi-gaming professional roster. To begin the year, the surrounding members of racing superstar Danny 'HuskY' Engels departed, giving the flexible German racer of three years of contract the undivided attention of the company and its fanbase. A similar situation would play out for the highly-successful Warcraft III squad. Long-time orc player June 'Lyn' Park departed on Christmas eve of last year, leaving an uncertain future for the remaining teammates Hyeong Ju 'Check' Lee and Du Seop 'WhO' Chang. What was becoming far more uncertain was the future of Warcraft III itself, as the electronic sports community was becoming increasingly edgy with the impending beginning of the beta for StarCraft II: Wings of Liberty more evident. Thus, it was decided to let the remainder of the squad go to concentrate upon the remaining divisions. While remaining conservative in the player numbers, our roster also being strengthened by some renowned talent for the various genres. A former FIFA star of SK Gaming, Nils 'niLssoN' Nolting, would be returning to strengthen the unmatched FIFA team to having four able members. As for our renowned support for World of Warcraft, we began 2010 with four geographically-based teams, including one American, two European and one Asian. SK Gaming USA's in-game leader Ryan 'Realz' Masterson would be waving off his teammates Mark 'Pookz' Rendon and Joe 'Enforcer' Morrone, to be replaced by ex-Evil Geniuses star Tim 'Kollektiv' Yen and ex-Fnatic wow player Alexander 'Glickz' Hloderwski. In the Korean World of Warcraft scene, we would welcome the new SK Gaming ASIA team of JiWhan 'Choiminso' Jung, SeokHoon 'Hwanggom' Kang and Woosik 'Scommando' Jeong, who would be taking over for retiring players Hyuk Joon 'Hyoga' Jang, Eun 'Jaywalker' Chan and Kwang Rock 'Kwana' Park. Going into 2010, we saw a firm and steady roster consisting of the ardent trio of Dennis 'walle' Wallenberg, Robert 'RobbaN' Dahlstr&ouml;m, Jimmy 'allen' Allen, along with newcomers Johan 'face' Klasson and Frej 'kHRYSTAL' Sj&ouml;str&ouml;m. This roster had enjoyed gold medal victories at EM 4 Global Challenge Chengdu, IOL Season 2 Warm-Up Qualifier #1, IEF 2009, Arbalet Cup Europe 2009 and IOL 2010 Finals. Despite these considerable victories, however, the chemistry between the players was not at the substantial level that would allow them to perform to their own personal standards, which was best demonstrated by SK's crushing defeat by the German powerhouse mousesports and the lower bracket defeat to the Danes of Roskilde Ravens at the IEM 4 European Championship Finals. Therefore, following an exciting match against crystal, it was announced on February 12, 2010, that kHRYSTAL would be departing from SK Gaming. Filling the void would be the notorious ex-Fnatic and briefly-sporting H2k Gaming star Rasmus 'GuX' St&aring;hl. The first test of this new team was for the Duel of the Legends charity event, against their Denmark rivals mTw , where, without the experience of their opponents, closely lost two games and tied the third. The score was evened, though, as mTw's poker skills were no match for SK's. During the five months of this specific roster's existence, the team performed admirably, with the original core players continuing to play cohesively and the two newer players bonding even further with their comrades. The first major triumph to come to the new SK Gaming would be the IEM 4 World Championship Finals, in which the team demonstrated a visual improvement in their coordination and performance overall, losing only to Fnatic in the semi-finals, but handily defeating the Americans from Evil Geniuses for a bronze medal and 8,000 USD. The team would give Fnatic a taste of their own medicine, however, with the silver medal victory at Arbalet Cup Best of Four, earned most-notably for defeating Fnatic over a series, as well as overcoming Natus Vincere on de_train, their best map. 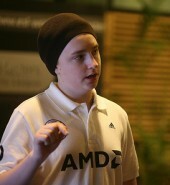 In June, the team would once more prove its capability of halting Na'Vi at DreamHack Summer 2010, with a 2-0 victory in the quarter-finals, but would be sent to the loser bracket during a semi-final defeat to mTw and would finally be sent packing to the team's first and only defeat to MeetYourMakers swe. During that same time frame, the IOL season 2 Final 4 was hosted, featuring SK Gaming, Fnatic, H2k Gaming and MeetYourMakers. During a group stage, in which SK lost to Fnatic and the latter lost to H2k, SK Gaming and Fnatic engaged in a winner takes all showdown that resulted in a series victory for 9,000 USD for SK. The 'genre' that has branched out from Defense of the Ancients is a curious one, as it shares specific elements of the RTS and RPG genres enough to be considered either, but the areas that overlap are significant enough to call for a new term to coin. In years past, SK Gaming has certainly been a leading entity in support of the genre, as we once maintained one of the greatest DotA teams of their time. Re-discovering the genre has certainly been difficult, as the several opportunities that approached us in the thirteen months since the original team's departure were not quite the material for donning the respectable jerseys of SK Gaming. We would, however, discover that the future of eSports in the Action RTS genre would lie beyond the Warcraft III engine. During late 2009 and early, we established good relations with the decent people of Riot Games and WeMade Entertainment and already recognized potential in their games. We did, as well, see enormous competitive potential from the relatively-small Heroes of Newerth competition. With this, it was reserved in the minds of the management wing of SK Gaming, that a concentration in this genre would lead to the dawn of a new chapter in electronic sports history. The first of SK Gaming's new foothold in the genre came on April 22, following a joint WeMade Entertainment/SK Gaming Avalon Heroes competition for a new team for representation. The successful participants came out as an international eight-man roster, which has performed flawlessly as the greatest team in this outlet of the genre. The second landmark support attempt came with the addition of our Heroes of Newerth squad, which is one of the most-accomplished squads in the American, as well as international scenes. The final addition came with the strong European League of Legends squad, which has proven to be as beneficial as one could have hoped for while performing in competitive game play. 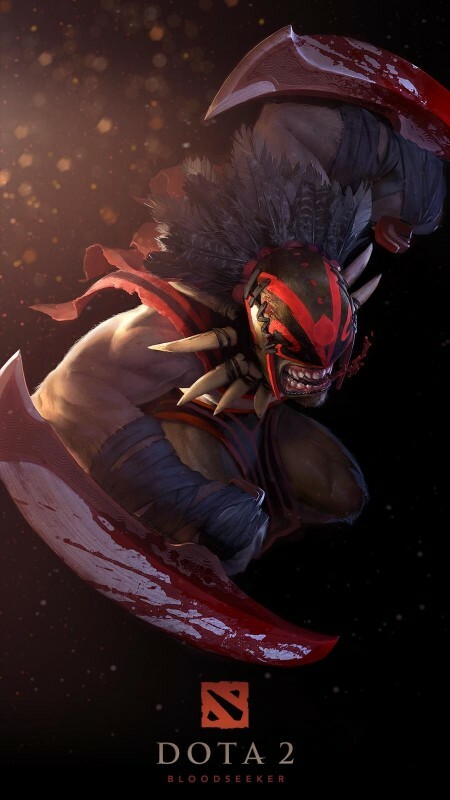 With the highly-anticipated October announcement of Dota 2, the players of the three squads, as well as the staff, have expressed an utmost interest in what could very well be the strong future of the genre. It is intriguing to consider what the developers of Counter-Strike, as well as the Renaissance man of this particular genre, can bring to the table for competitive eSports of this caliber. En route to the finals of ESWC was an ensemble force, consisting of SK Gaming , SK Gaming female, as well as Quake star Shane 'rapha' Hendrixson and racing dynamo Danny 'HuskY' Engels. The capacity for talented teams and players was intimidating, to say the least, as there would be stubborn obstacles to overcome and hundreds of competitors vying for the same thing: complete victory. The results, however, did nothing less than vindicate SK Gaming's dominance across multiple fields. The first showdown came with HuskY, who had acquired a new and highly-efficient steering wheel, which after much practice, was deemed unsuitable as its high-tech capabilities, as well as his proficiency, would give him an unfair advantage. Therefore, he was forced to use a wheel he had not practiced on, which still resulted in him going undefeated. His winning streak was, unfortunately, cut short at the grand final, during his match against Steffan 'Steffan' Amende. During a determining round, his opponent violated the rules by impacting HuskY's right-back wheel, which resulted in him losing the majority of his speed and Steffan moving ahead. After a review, the ESWC staff still gave the win to Steffan, to which rapha was the only sport in the vicinity and cordially clapped. HuskY's total winnings came out as 3,000 USD. Our fine young ladies from the Counter-Strike female squad, on the other hand, cruised through the tournament unchallenged. Facing no terribly close group stage games, with the exception of the match against Fnatic female, the girls moved on into the playoffs, where their greatest challenge came against the notorious mousesports Ladies squad, which ended in a 2:1 victory. The Grand Final against Fnatic proved to represent SK's overall performance, with two steady and uncontested round victories in their favor. SK Gaming female's total winnings came out as 14,000 USD. In the Quake spectrum, we saw our supreme player, Shane 'rapha' Hendrixson, begin by competing in the group stage. After an initial close loss to Alessandro 'stermy' Avallone, rapha remained confident and went on to handily defeat Kevin 'Strenx' Baeza in a 2:0 game and Maciej 'av3k' Krzykowski in a closer 2:1 match. With this, rapha proceeded to the playoffs, where he defeated Evil Geniuses 's Tim 'DaHanG' Fogarty in a landslide competition. In the Grand Final with av3k, rapha enjoyed an easy first round and well-earned victory in the closer second round. Being named the champion, rapha took home a prize pot of 8,000 USD, bringing his accumulated total for the year to 18,000 USD, following his strong victory at IEM 4 World Championship Finals four months prior. As for the Counter-Strike squad of SK Gaming, they were faced with intimidating odds of overcoming all their opponents and making it to the Grand Final, even during the group stage. Facing off against FireGamers , H2k Gaming and Mojawi Gaming , reaching the playoffs would not exactly be a walk in the part. Despite some pessimistic predictions however, the squad went undefeated in the group stage, even against their fellow Swedes of H2k Gaming, which included their former teammate kHRYSTAL. Going into the playoffs, their first opponent would be compLexity Gaming , where SK would prove their dominance by handily defeating the Americans in a 2:0 victory. In the most uncertain playoff match thus far, SK was then faced by Frag eXecutors , who had proven to be strong opponents in the past. Fortunately, SK Gaming was at their best form and defeated the Polish team 2:0, leading the way to the Grand Final, facing them against none other than the unstoppable force of 2010- Natus Vincere . 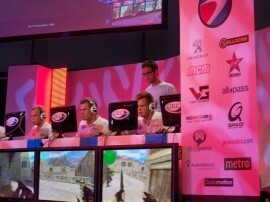 In a full and crowded room, the Swedes secured a firm victory during the first map, which was de_dust2. The second and third maps, however, were not as favorable, as the Ukrainians secured two strong victories against the Swedes and were named the ESWC champions. With a silver medal victory, SK Gaming secured 18,000 USD. Overall, this proved to be a successful showing for several representatives of SK Gaming, as the squads brought back two gold medals, two silver medals, as well as accumulated winnings of 43,000 USD. During the later part of the summer last year, SK Gaming's Counter-Strike squad faced a period of shifting uncertainty, set in motion by small lapses in judgment, which resulted in huge changes. A similar case was put in motion around the same time frame of this year, with the only exception of it being deliberate this time. During the ESWC afterparty, where a major portion of the participants were celebrating an exciting event, Rasmus 'GuX' Ståhl got together with his former Fnatic teammates, while most of his current team stayed back at their hotel. 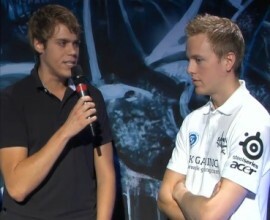 Following a 5-8th place defeat at ESWC 2010, Fnatic offered GuX a place back where he came from. Despite being arranged with full compensation for Arbalet Cup Dallas 2010, he departed from SK Gaming prematurely, forcing a last-minute stand-in, featuring free agent Andreas 'moddii' Fridh. For a time short of five months, SK Gaming would be featuring stand-ins for online and offline events. With the stand-ins, the team would achieve gold medal victories at SEC 2010 and WCG 2010 Nordic. The substitute-ridden team would also engage in an come out with a silver medal victory of 11,000 USD at the highly-competitive and exciting MLG Championship Columbus, which was earned, due to SK's overpowering of Na'Vi on de_train and a crushing victory over WeMade FOX . However, the glory would end only at silver, due to FOX returning from a lower bracket win over Frag eXecutors , which counted for the Koreans' first major gold medal victory ever. The results during this five month victory are worthy of a special thanks to moddii, Marcus 'Delpan' Larsson and SK Gaming coach and staff member Dominic 'immo' Koller. For six years, fans held a certain degree of curiosity for SK Gaming's capacity for Counter-Strike: Source, being somewhat of a new step for Valve's continued development of the original Counter-Strike, but in a different direction. With these differences comes a divergence in the communities, so the acceptance of the game by world-class organizations like mTw or Mousesports make for the development of better communities. For four months, starting on August 3, SK Gaming brought forth a greater awareness for this sect of the Counter-Strike cultural phenomenon. The German SK Gaming Counter-Strike: Source team of Christoph 'disruptor' Doelger, Stephan 'ludicrous' D&uuml;sterh&ouml;ft, Patrick 'mEiJinp' Kriebus, Florian 'puRit' Dobberphul, Christian 'Rak' Hermenau-Puhlvers, Nico 'sYrox' Strott and Robert 'TORNADOTONI' Radosevic achieved an admirable win-loss ratio and remained strong in the German scene. Ever since the first word of Blizzard Entertainment's new RTS title reached the ears of electronic sports enthusiasts, many have optimistically speculated about SK Gaming's own mark in this new arena. Despite not immediately picking up players during the beta phase of StarCraft II: Wings of Liberty, the interest in this latest chapter of the high entertainment medium remained peaked. It would take a very specific kind of player who would have an entrance into our roster that would dramatically signify SK's keen specialty for expanding talent. The answer came on August 18, with none other than the returning Warcraft III legend Fredrik 'MaDFroG' Johansson, beginning a new chapter for SK Gaming. MaDFroG's performance as a zerg player have garnered him a reputation as a very entertaining combatant of ingenuity who, despite not always securing victory, shows considerable talent. His early skirmishes with Dario 'TLO' W&uuml;nsch were amongst the most popular in the professional StarCraft II spectrum, as they were hosted by first-party Blizzard streams, which drew in a wider audience and enhanced interest, beyond the avid fan base we have grown fond of. An important clarification that has set SK Gaming apart from its competitors is its renowned support for World of Warcraft and the company's loyalty to respecting the MMORPG as a true electronic sports title. There have been guilds bearing the SK name and colors, including the dominant one of 2008 and today, SK Apeboys, the modern dominant German guild. Beyond this, SK Gaming's focus upon PvP has been nothing short of exceptional; constituting four arena teams at the beginning of this year, each of whom have proven their worth in one way or another. However, the flow of this year exemplified that nothing can go on forever, thus the majority of the players gradually hung the jerseys up and went their separate ways. The first departure came on July 12, with the mixed farewell of SK Gaming EUROPE, which constituted Alexis 'Enigmz' Martin, Patrick 'Inflame' Costales and Valent 'another' Sebastijan. The team had ceased to practice regularly as the players began dedicating more time to other affairs, including playing the StarCraft II beta, rather than their usual regiment. The second farewell was on August 17, with SK Gaming USA, which constituted Ryan 'Realz' Masterson, Tim 'Kollektiv' Yen and Alexander 'Glickz' Hloderwski. After multiple years of trial and error with the American PvP scene, the US team's chapter in SK Gaming had come to a close. 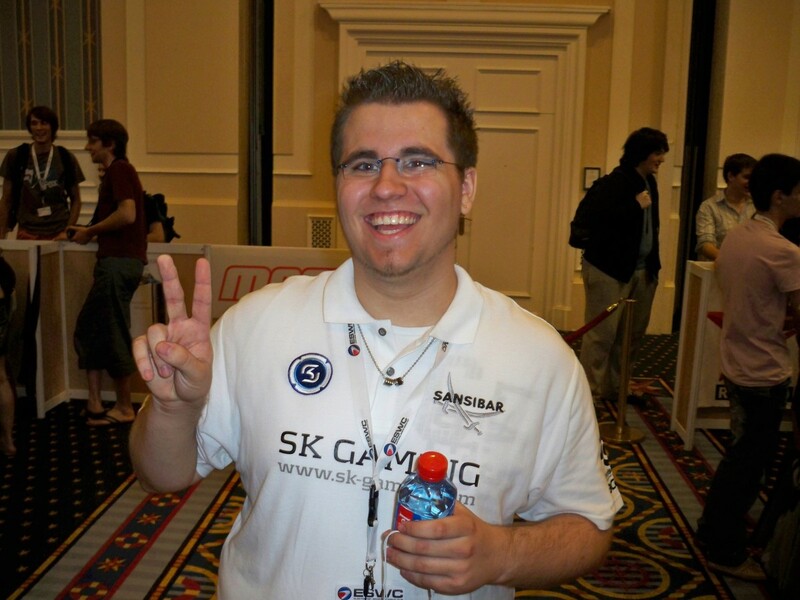 For the remainder of 2010, SK Gaming would continue its presence in the world of Azeroth with SK Gaming SANSIBAR representing. Sansibar Sylt's support of the team eventually branched out to the rest of the organization, with the legendary restaurant becoming the new official clothes provider. 2010 had held some limited, but notable triumphs for the four teams, first and foremost for SK Gaming SANSIBAR, which brought home 7,500 USD from their first LAN appearance at IEM 4 European Championship Finals. In the playoff stage, the Germans were pitted with their comrades from SK Gaming EUROPE, which resulted in a 2-4 victory, in favor of SANSIBAR. The two SK squads attending the tournament shared similar victories, with EUROPE's 4-3 takedown of x6tence and SANSIBAR's overpowering of Team Dignitas for the gold medal. SK Gaming's highest result at the World Championship, however, would come from an entirely different sector that would amount to the new faces of SK Gaming ASIA. The Koreans showed their tenacity by handily defeating star teams such as their American comrades from SK Gaming USA, as well as x6tence , the new faces of mousesports , H2k Gaming Thermaltake, losing only to Team Dignitas and being bumped to the quarter-finals. However, the team would fall, once again, to Dignitas, which resulted in a 4,000 USD prize pot for fourth place. On December 3, SK Gaming announced the envious retirement of two of the organization's most highly-esteemed players, Dennis 'styla' Schellhase and Daniel 'hero' Schellhase. 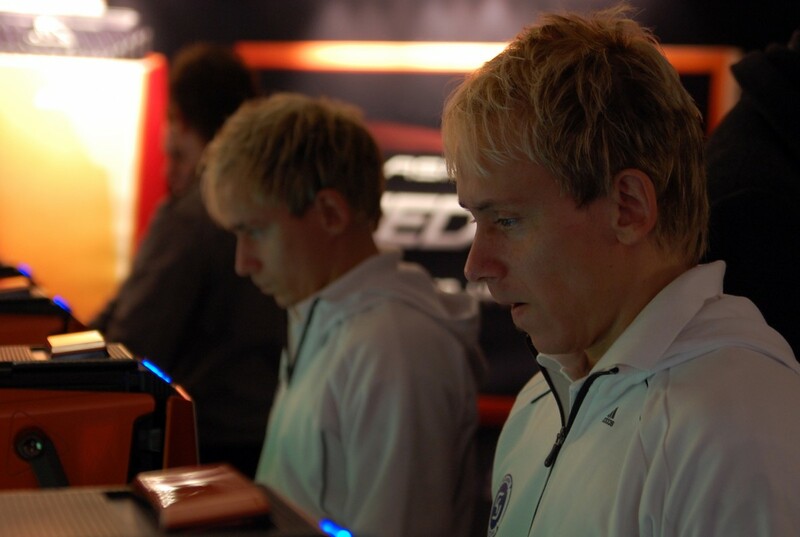 These two German superstar FIFA players dominated the virtual sports scene since their breakthrough performance at the World Cyber Games 2003, from which they had a nearly-flawless victory run at each of the consecutive events until 2007. With having similar results at a myriad of sponsored events, hero and styla have become two of the most-esteemed, respected and overall successful players in all of the sectors in the history of electronic sports. From 2004 to 2008, the twins received nominations for Turtle Entertainment's annual eSports Award. Additionally, the players have been inducted to several Halls of Fame, including the World Cyber Games' as well as the new SK Gaming Hall of Fame. The players ended on a spectacular and well-representative note of their careers, with their flawless victory at the ESL Pro Series Season XVII Finals. SK Gaming's console division enjoyed a less than hectic year as opposed to 2009. Most notable is the exclusion of a Halo side throughout 2010, but teams and players across Call of Duty: Modern Warfare 2, Forza Motorsport 3 and Pro Evolution Soccer had their fair share of action under the SK tag. 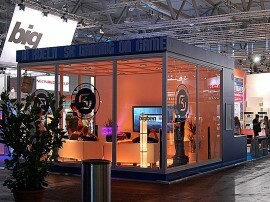 For the second year in a row, SK Gaming had a booth at gamescom in tandem with BigBen Interactive. Several of SK Gaming's players, such as Niklas 'Johnson' Krellenberg and Sven 'S-Butcher' Wehmeier, displayed their skills to the public along with giving them the chance to take them on in their respective titles. 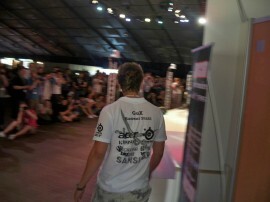 The booth was a huge success, and hopefully the gamescom tradition can continue in 2011. 2010 also marked SK Gaming's first console tournament, the Iron Fist Tekken 6 tournament. In collaboration with Namco Bandai Games, SK hosted an 18 player competition which saw Christopher 'Ninjatoo24' Petrosino come out on top in impressive fashion, failing to lose a set. SK Gaming held another community event, the Beat The Pro tournaments, this time in association with SteelSeries across German GameStop stores. SK's top FIFA players, including the world champion twins Daniel 'hero' Schellhase and Dennis 'styla' Schellhase, were on hand to be challenged by fans and visitors alike. SteelSeries Spectrum 5XB headsets were up for grabs for those lucky enough to earn them. SK Gaming had two Call of Duty sides throughout 2010. Following the removal of the first due to poor results, a second was added for the inaugural European Console League event in Liverpool. The side were awarded the top seed for the competition, but slumped to a 9-12th place finish which ultimately led to their removal and SK's indefinite hiatus from the scene. Come July, World Cyber Games qualifiers were occuring across the globe. 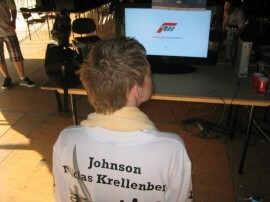 SK Gaming's Forza 3 racers were present in Germany, with Johnson taking first and Patrick 'Patohm' Weking securing third. Johnson won a trip to Los Angeles, California, to compete with the world's top drivers. He dropped just one series en-route to the grand final, where he met the man who not only defeated him in the group stage, but was the clear favorite for the gold: David 'Daveyskills' Kelly. Ultimately Daveyskills proved too much for Johnson, but the SK man kept the race close, leading for four of the five rounds they had. He picked up $4,000 along with a silver medal. Sven 'S-Butcher' Wehmeier participated in one of Pro Evolution Soccer's major tournaments: the PES World Masters in Majorca. Over 42 participants from across the globe attended, and S-Butcher made it all the way to the semi-finals before being eliminated by eventual winner Christopher 'Christopher' Maduro Morais. He won the consolation game, securing a third place finish. Over at Fnatic , discussions concerning a few of the most legendary players in the Counter-Strike scene went down. The players wagered that this flagship scene of eSports would only have so much time left before the sun would set forever. Wishing to try something new, Patrik 'f0rest' Lindberg and Christopher 'GeT_RiGhT' Alesund longed to join forces with several of the strong names in SK Gaming, in order to form a dream team that would become the dominant force in 2011. They would, however, discover that this would only become possible elsewhere. 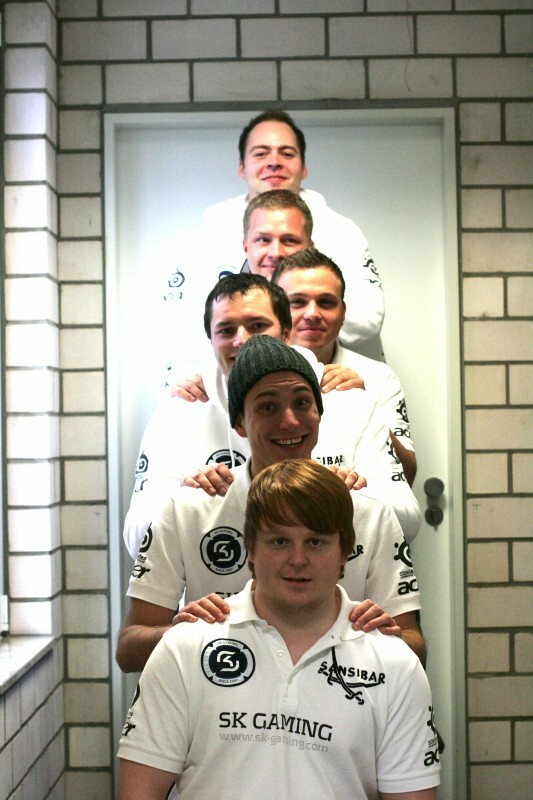 Thus, the new SK Gaming of 2011 was born on December 7, (the one-year anniversary of bds' retirement), with f0rest and GeT_RiGhT donning the blue and white of SK Gaming. This would be a reunion of sorts for the players, as they have all experienced different combinations in other teams before coming together as the most promising team for the upcoming year. The new roster for SK Gaming, however, would result in a widespread rearrangement for the other notable rosters of Sweden. Fnatic required a massive overhaul, seeing the duo departing, as well as the former SK Gaming star Rasmus 'GuX' Ståhl leaving, as well. To accommodate for this, Fnatic quickly retrieved the free agent and SK's former stand-in, Marcus 'Delpan' Larsson, as well as Faruk 'pita' Pita from Rage Esports and Richard 'Xizt' Landstr&ouml;m from Lions swe. Lions responded by signing on GuX, and Rage would stabilize with the additions of Andr&eacute; 'keiz' Carlsson, Manne 'manne' Nordqvist and Olof 'olofm' Kajbjer. To go into 2011, however, SK Gaming would remain only with the dream team. On December 21, two weeks following the momentous announcement, it would become known that the other forces of representation in the Counter-Strike genre would be departing. SK Gaming female, the greatest team in the professional female scene, would be departing, following an international dominance of several years. 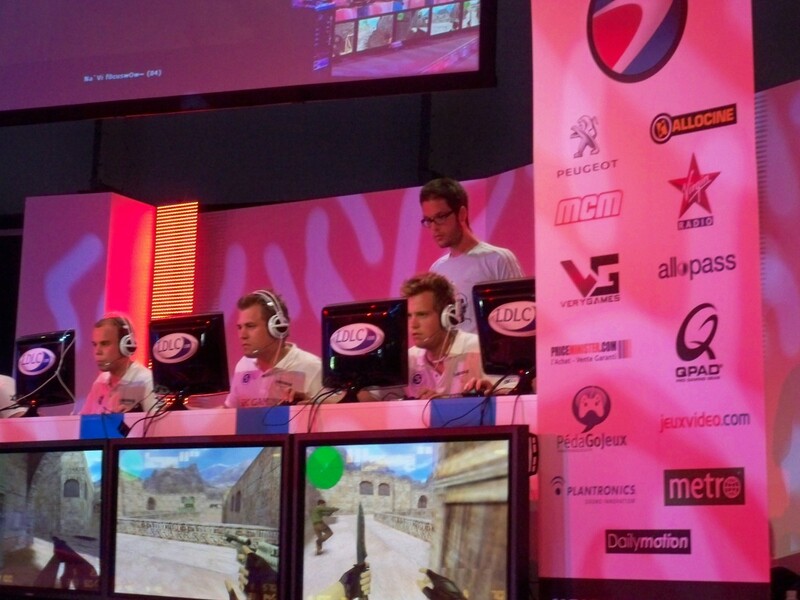 December 21 would also mark the end of the Counter-Strike: Source squad, as well. The same reasoning and issues arose with the dissolution of both these squads and warranted the peaceful departure that followed. IdrA: "Nothing else can compare"
GuX: "We need more rivalries"
MaDFroG: "I really missed the competitive gaming"